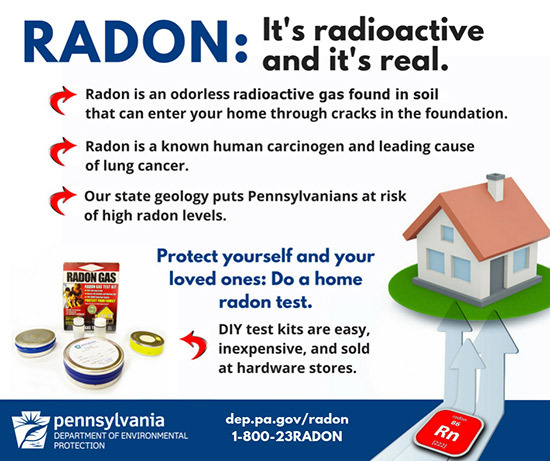 PA State Rep. Sheryl Delozier - Radon – Is Your Home Safe? If interested, please contact my office at 717-761-4605 no later than Friday, Feb. 15. Candidates must also apply online at employment.pa.gov in the “Summer Maintenance Program” category under the Open Jobs section of the website. 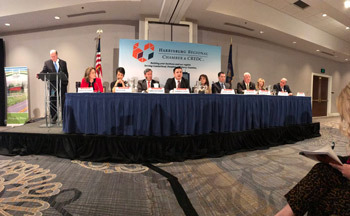 •	This week, I participated in the Harrisburg Regional Chamber & CREDC Legislators’ Forum I, hosted for members of the House of Representatives serving Cumberland, Dauphin, Perry and York counties. The forum provided an excellent opportunity for members of the business community to connect with their local legislators, ask questions and express concerns on important state-related issues that will be coming up in the legislative session. •	I attended the Mechanicsburg Chamber of Commerce Annual Dinner and Business Meeting on Wednesday. This year the keynote speaker was Jessica Long, the second-most decorated U.S. Paralympic athlete of all time. It’s always nice to network and re-group for the coming year. •	Congratulations to Jim Fair, maintenance department supervisor for the Borough of Lemoyne, on his retirement after more than 30 years of service. It was an honor to present him with a House citation recognizing this achievement. • Recently, I was recognized with a certificate from House leadership for perfect attendance during the 2017-18 legislative session. 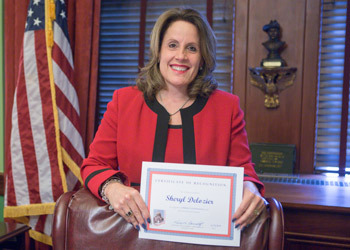 This is the fourth time I have earned this recognition during my time in the legislature. I always do my best to never miss a session day. •	On Thursday, I spoke to the Rotary Club of Mechanicsburg-North about my legislative priorities for the 2019-20 legislative session. I always enjoy speaking to service organizations whose members make Cumberland County a great place to live and work. •	As co-chairs, Rep. Jordan Harris (D-Philadelphia) and I announced the formation of the bipartisan House Criminal Justice Reform Caucus. The group is looking to advance policies to address important issues related to reform of the criminal justice system, such as barriers to employment in the occupational licensure system; education and workforce skills during incarceration and probation/parole; and successful rehabilitation and re-entry. Our work in the caucus will be a coordinated effort with the Senate Criminal Justice Reform Caucus.